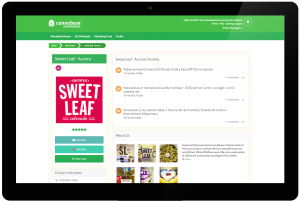 Cannabase Marketplace is an exclusive network for licensed cannabis businesses, featuring free unlimited access to Colorado’s leading wholesale marijuana marketplace, in addition to Cannalytic™ market watch reports and a robust set of consumer-facing marketing tools. Join over 76% of the licensed marijuana retailers and cultivators in Colorado in this simple, centralized connection platform to start growing your business today. Built atop the feedback of over 60 major dispensaries over the course of a 6-month beta period, the Cannabase’s wholesale marketplace is not only the most active marijuana market in Colorado, but the most successful online cannabis marketplace in the nation. What makes Cannabase better than the rest? We’re a local, privately owned company – but since all our development is done in-house by a super talented product development team, we’re able to iterate at an unprecedented rate. Good thing, since this industry is evolving at the speed of light! We choose to make customer feedback the cornerstone of product development, and many of our biggest upgrades began as suggestions from dispensary owners, growers and MIP business owners. Search, filter and browse wholesale listings, then connect directly with the seller through our secure private messaging system. Looking to sell? Attract buyers with photos, integrated lab data and vender trust scores. Know what you’re looking for? Create a wholesale request and we’ll notify you by text or email when a listing matching your request hits the market. Request can be tailored by item type, price range, quantity needed and distance from seller. 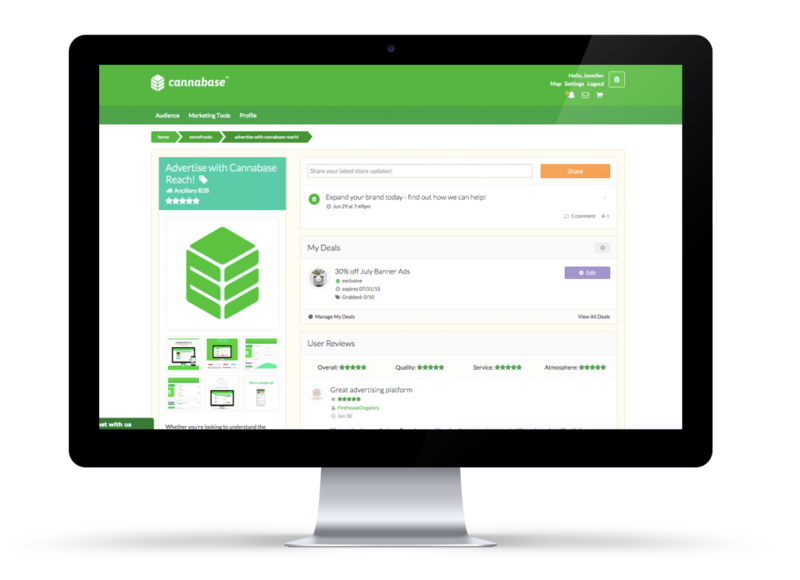 Wholesale users can activate a free employee account, with it’s own message streams and custom permissions (additional can be purchased from your account center). You’re able to access and edit your employee accounts at anytime. Marketplace Cannalytics™ charts and graphs, reports, & exclusive user-only email updates aggregate key wholesale market metrics, making it easier than ever before to make informed pricing decisions and reinforce wholesale negotiations. 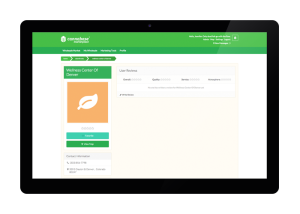 Cannabase Marketplace users have the option of activating additional business management and advertising tools right from their account (just login and look for “Marketing Dashboard”). 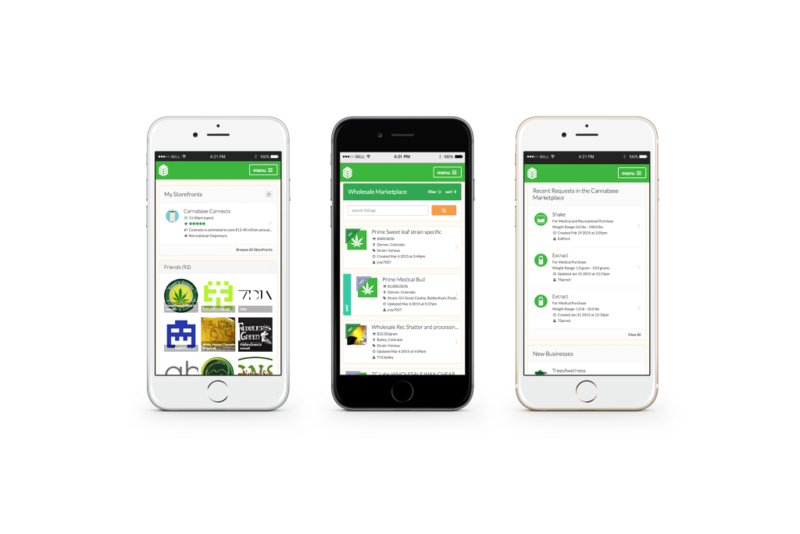 These targeted tools allow cannabis businesses to reach 21+ cannabis consumers in a way that’s powerful, engaging & authentic. If you’re a cannabis business owner in CO, WA or OR, your state regulated store is already searchable from Cannabase Maps. In fact the basic contact information for your dispensary has already been added to your Cannabase Connects storefront! By default your storefront is tidy, easy to read, but well… kinda boring. All the basic info is there (phone number, hours, reviews) but locked storefronts lack personality, they all kinda look the same! Unclaimed storefronts can still be rated and reviewed, favorited, and tagged in smoking logs by our Connects users. We keep them as up-to-date as possible with your publicly available amenities, like hours of operation, whether you have an ATM on site, and your phone number. 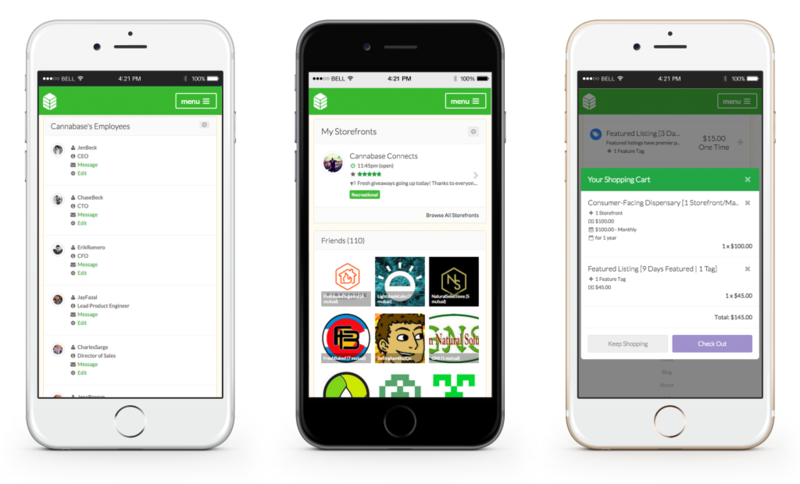 Once your free Marketplace account is activated, we activate your locations in the system, making the “other locations” feature on the sidebar of your storefronts populate. If you choose to claim the storefronts, you’ll activate a whole host of marketing features to engage with Connects users. Storefronts are claimed from the Settings section of your Marketplace account, and can be activated or de-activated at will. Claiming your storefronts allows you to engage consumers with “Store Replies” on comments and reviews, as well as create unlimited deals, automated giveaways, upload images, set status updates, and more. Unsurprisingly we’ve found unlocked, well branded storefronts see significantly higher clickthrough rates & page views. Interested in claiming your Cannabase Storefront? Click here for more information, or email us at support@cannabase.io for customized suggestions on how optimizing your Cannabase storefront can help you reach new cannabis consumers while engaging your already loyal customers.